I don’t know about you, but when I have a lot of work to do, I’m one of those people who gets overwhelmed very easily. In the mornings, I often have a hard time getting started, and so I try to “ease” in to work by checking out a few things on my phone like Instagram. Then I move on to checking emails and answering important messages. And this usually gets me ready to start on actual projects and important items on my to do list. But once I get started working, I find it hard to stop! When you blog, there’s a never ending to do list, and the problem with this is that you may find yourself working too much or spending a lot of time working but not using that time very efficiently. And both of these things can cause fatigue and cause you to lose focus and prevent you from getting work done. This is that 3pm slump I was talking about! Make a to do list and stick to it! Watch the clock to make sure you are staying on task. And take frequent short breaks. Today I’m focusing on the 3rd items on this list: Breaks! I know it’s hard to tear yourself away from the computer, but studies show we are much more productive when we take breaks. When you’re taking a break, it’s good to do an activity that de-stresses you. Perhaps you could read a short devotional or write a journal entry or poem. You could also take a few minutes to call a friend or family member, or if you work from home, spend a little time with your pet. And then one of the best things you can do for yourself is eat a good snack. 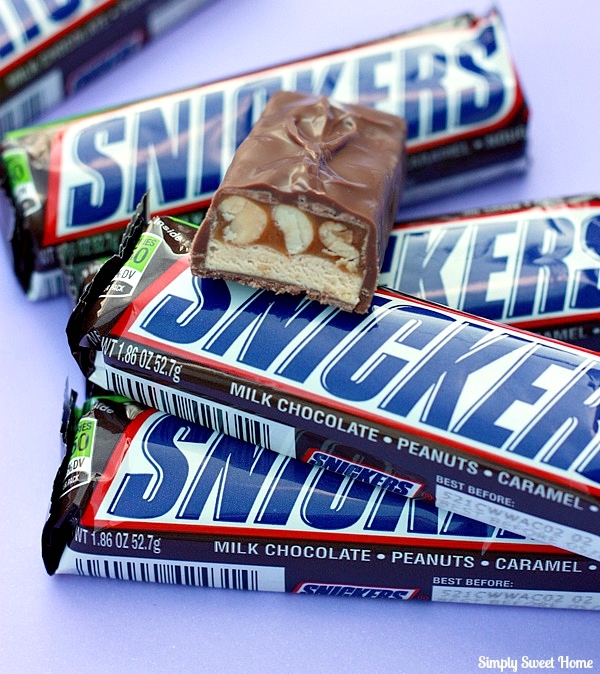 One thing I love to eat is a good SNICKERS®. 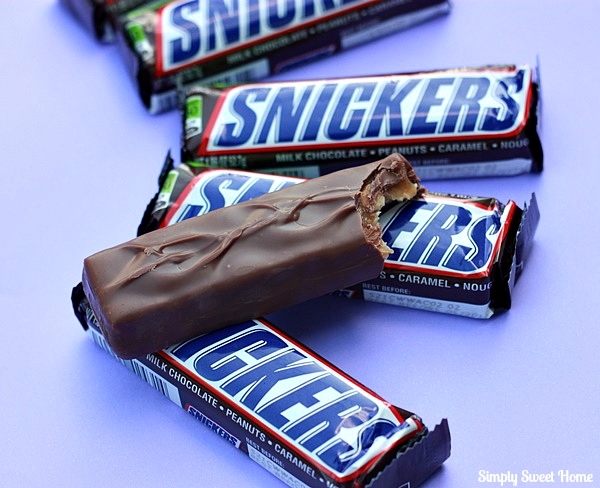 The classic, regular size SNICKERS® are a good portion size for me. And the chocolate, caramel, nougat, and peanuts, not only taste great, but are also filling. It’s also a convenient, on-to-go snack that I can eat at my desk or take in the car, which is always a plus! 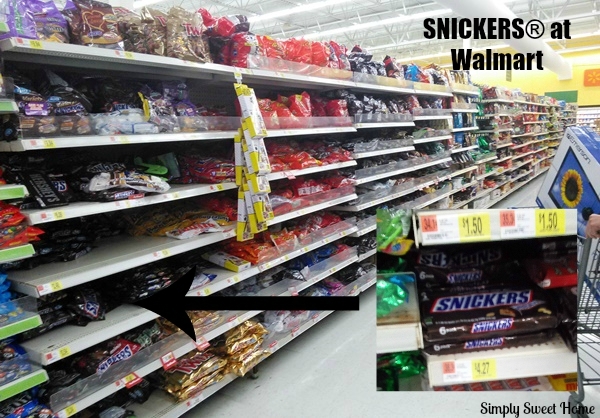 SNICKERS® can be found in the checkout line at Walmart, and you can find 6 packs of the regular size SNICKERS® bars in the candy aisle! Now let’s talk gift baskets! 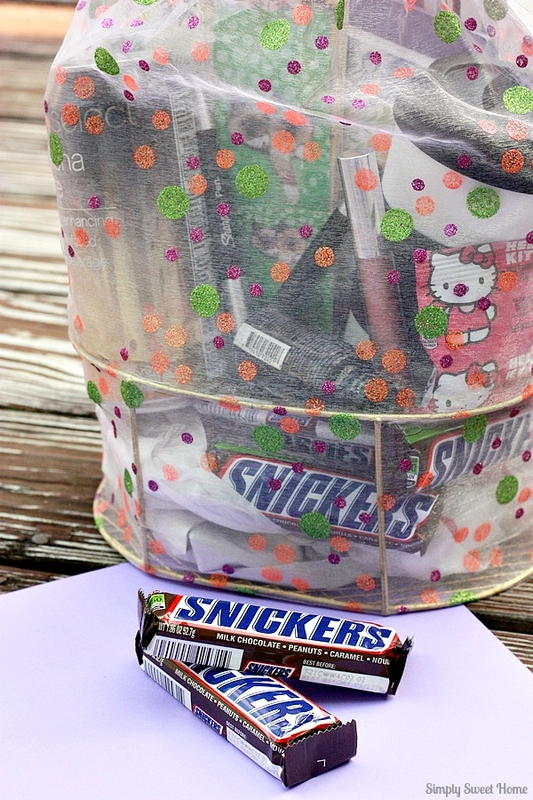 The other day I got creative and made this SNICKERS® Get Through Your Day Gift Basket. If you work outside the home, you could make a basket like this and carry it with you work. 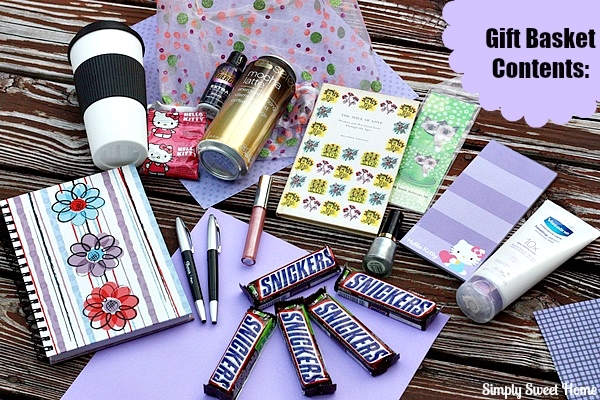 These items would be great to keep at your desk and help you get through the 3pm slump. It’s also a great gift idea for people you know. It would be a wonderful gift for your child’s teacher. Anyone who works in an office would love it. And if you’re a business owner, it’s also something great that you could put together for your employees. 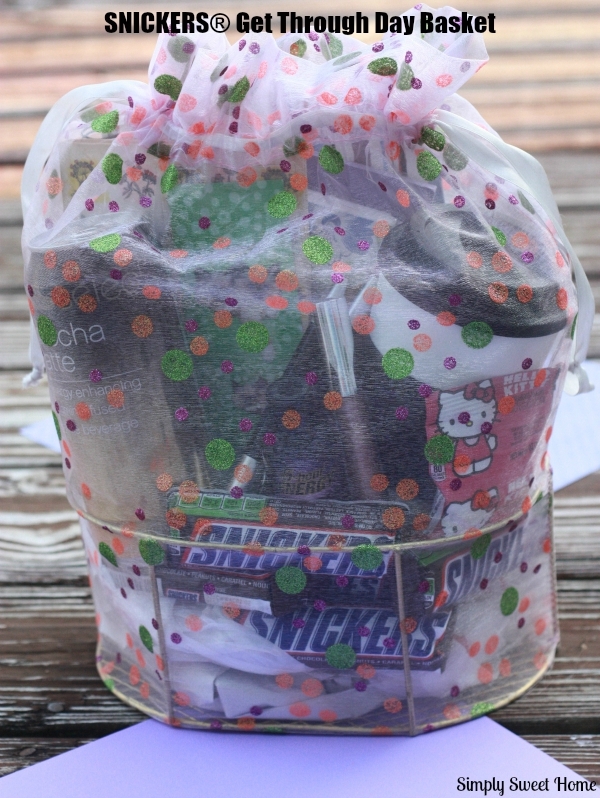 To make this basket, I used a small wire basket and placed it inside a large organza bag. An organza bag is the “mesh” like bag that you see. These come in a variety of sizes and can be ordered from a variety of places on the internet. And then I just put a little stuffing in the bottom, and then placed my items inside. Above you’ll see a picture of the items I chose. This is just a few examples, of course. The possibilities are endless! But let’s briefly talk about the contents of this basket, and while we do that, I’ll give you some other suggestions. I chose the contents, based on the “break time activities” I talked about above. 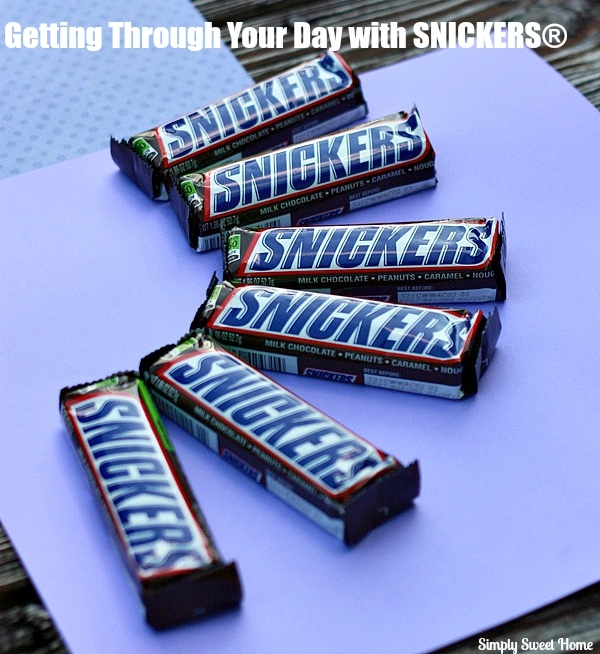 Snacks – I started with SNICKERS® because again, sometimes you just need a snack! In addition to SNICKERS®, I put in some fruit snacks, but you could also put in other snacks like cheese crackers, cookies, or popcorn. Drinks – Then I went with drinks. I put in a coffee cup, along with a canned mocha latte drink. (Canned or bottled soda would also be great.) And then I also added an energy shot. Writing – Then I added both a journal,notepad, and pens. The journal is great for writing down your thoughts and ideas or doing a little creative writing, and even writing a note to someone. A simple notepad is also a good thing to have, because you can unwind from work while still accomplishing something. Consider making a shopping list, for instance. Reading – Then we have a book and bookmark. Books are great things to have at your desk. I’m in to poetry, so I like to have a poetry book on hand for a short read. I also like books of quotes and books with historical facts or fun tidbits. Devotional books are also great. All of these books contain a lot of short reads and are designed to entertain or provide inspiration, which I believe is helpful when you need to get your off work for a minute. Health & Beauty – Finally I went with some health and beauty items, because a lot of times when you’re dragging in the afternoon, you just need to freshen up a bit. For this basket, I added lip gloss, lotion, and nail polish, but there’s an endless array of items you could choose. Now let’s have a little fun! Who are YOU when you’re hungry? 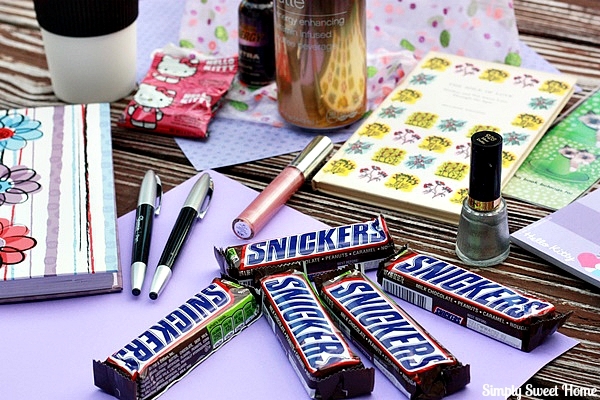 Take the quiz below to find out your SNICKERS® personality! Got an times for getting over the 3pm slump? Tell us in the comments!